Following approval from BBC Executives in London and the BBC Trust, the new 150,000 sq ft headquarters building, which will accommodate 1,200 staff, it is located at Central Square - at the north entrance to Cardiff Central train station. The impressive building has been designed by world leading architectural firm Foster + Partners. 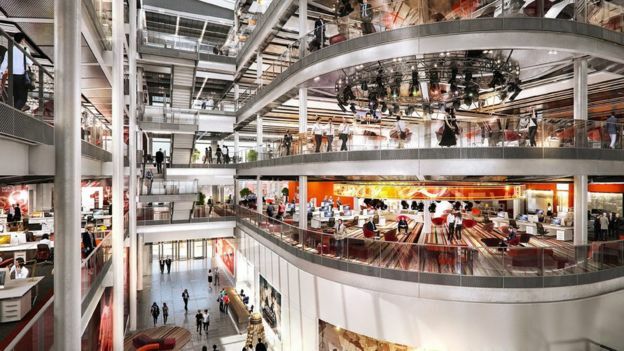 Central Square, which eventually will see up to one million sq ft of new office, retail and residential space, is being developed by Cardiff-based property development firm Rightacres Property. The development is scheduled for completion in late 2018 or early 2019 and will house around 1,200 staff, as well as a small presence for S4C's digital broadcast team. Unique to this building is the installation of 2No. D.R.U.P.S units - Diesel rotary uninterruptible power supply devices which can power the whole building fully loaded for four days and nights. 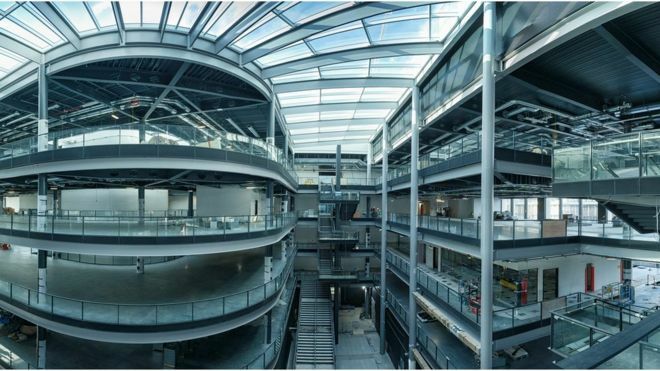 The building was handed over to the BBC on in April 2018 after which Evans Electrical Ltd has been employed by the BBC to install a 3.6 million pound fitout contract.